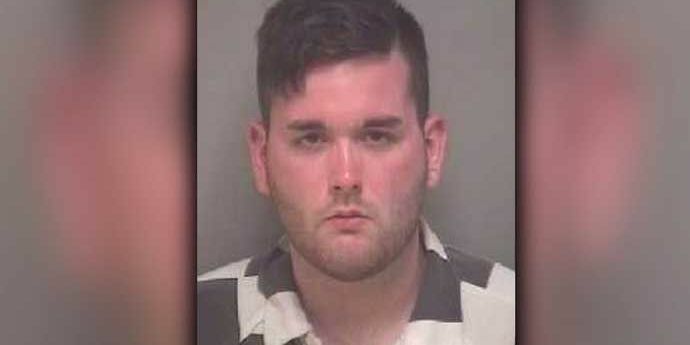 Jury recommends life, plus 419-year sentence for James Fields Jr.
CHARLOTTESVILLE, VA (WWBT) - A jury recommended Tuesday a life sentence for James Fields Jr., the man who killed Heather Heyer after plowing into a crowd during a Unite the Right Rally in August 2017. Last week, a jury found Fields guilty of first-degree murder, aggravated malicious wounding, three counts of malicious wounding and one count of leaving the scene of an accident causing serious injury or death. The jury also recommended fines of about $500,000. Bro was emotional at times, talking about how difficult it has been sitting in on the trial and thinking about her daughter. She says Fields not only destroyed her family but also destroyed his own family from his actions. Bro says there is still social justice work to be done, the reason she continues to pour her heart into the Heather Heyer Foundation. They provide scholarships for young people who are involved in non violent social justice work. “She would be excited that hate did not win, she would be excited that social justice does move forward - the biggest thing is that hate did not win today,” said Bro. Several survivors and community members spoke after Fields sentence was handed down. Wednesday Bowie, who after the verdict Friday said she felt the best she had in a year and a half, had a message related to the mental health defense presented during Monday’s sentencing hearing. Marcus Martin, who was friends with Heyer, and hurt during the crash says he does not hate Fields but cannot forgive him. “I’ve got screws in my legs, there’s a lot of people with injuries worse than mine - still in wheelchairs on crutches, that have metal rods, plates, multiple screws, still healing from what you did to us," said Martin. Martin sat in almost every day of testimony and evidence, saying he “couldn’t get away,” and felt he needed to be there each day after testifying. Martin said he plans to continue to offer support and time to the Heyer Foundation, and fight hate with love. “Gotta continue to fight the fight--the good fight, push for positivity," he explained. Courtney Commander, Heyer’s friend, was with her counter protesting the day she died. Commander also sat in on almost every day of testimony, evidence, the verdict and sentencing, a difficult time, as she says it forced many to relive the dark days they experienced. “I’ll never get my friend back and some of us will never fully recover from our injuries but I definitely feel a little bit higher now," Commander said. Jeanne “Star” Peterson told the jury her life has been “a living nightmare” since she was hit by Fields’ car, the Associated Press reports. Her right leg was shattered, and she’s had five surgeries to try to repair it. She also suffered a broken spine and still hasn’t been able to return to work. Daniel Murrie, a psychologist and professor at the University of Virginia School of Medicine, told jurors Monday that Fields had inexplicable volatile outbursts as a young child and was diagnosed with bipolar disorder at age 6, the AP reports. He was later diagnosed with schizoid personality disorder. Murrie testified for the defense as jurors were asked to come up with a sentencing recommendation for Fields. The judge’s formal sentencing for Fields is scheduled to take place in July.